Be Honest: How Long Did You Survive HBO Nordic's Deadly Game of Thrones Quiz? ...I died at Question 2. Yep. Question 2. Screw you, Joffrey, I didn’t even wanna live in your stupid kingdom anyway. I’ve played this quiz at least four times now, and I’ve yet to make it past season two. Every time, you have to start over from the very beginning to try and make it through the quiz’s 60(!) questions. God forbid you get an answer wrong in seasons five or six— all that work would go to waste! My memory is failing me as much as Cersei failed to, you know, not get her children killed. Guess I should be binge-watching the previous seasons along with everybody else. 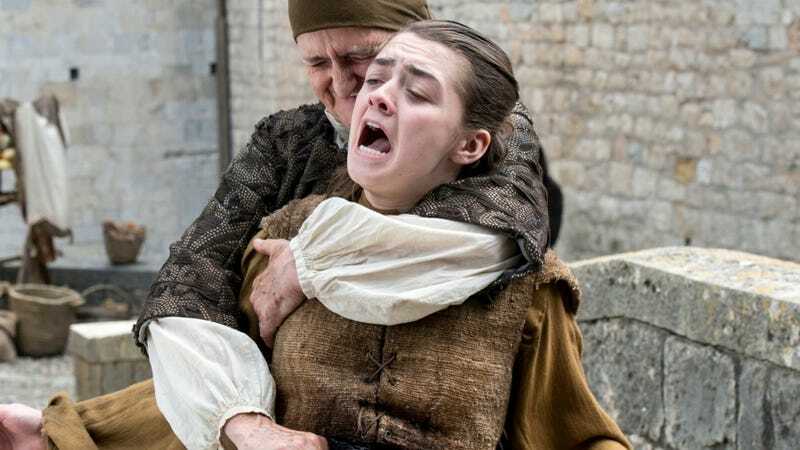 Game of Thrones returns July 16, and here’s the quiz to test your knowledge before then. Leave a comment with your first tumble down the Moon Door in this ruthless monster of a quiz, and if you dared make it through all 60 questions, please tell us how long it took. And best of luck, fellow Westerosi. In the Game of Thrones, you either win... or you respawn.